During modern era of human development, growth of towns and cities displayed a separation between nature and human activities. This was not the case in premodern times, when human settlements either integrated or co-existed peacefully with the nature. There are many examples of this city—nature relationship in Old Iranian cities like Isfahan, Shiraz and even Tehran; The Garden Cities of Sir Ebenezer Howard in England, Kilwa coastal towns in what is now present day Tanzania, Teotenango, Mexico, as other few examples. After the arrival of modernism and the growth urbanism, modern homes and high rise habitats replaced gardens. Fast growing populations and changes in lifestyle contributed to the destruction of garden cities (Samiei, 2012). The modern city is a recent phenomenon. The growth of modern industry from the late 18th century onward led to massive urbanization and the rise of new great cities, first in Europe and then in other regions, as new opportunities brought huge numbers of migrants from rural communities into urban areas. In the United States from 1860 to 1910, the invention of railroads reduced transportation costs, and large manufacturing centers began to emerge, thus allowing migration from rural to city areas. Before the rapid expansion in human population that began after the Industrial Revolution, cities were relatively small, few in number and their impact on the natural world was limited. There had been human-induced extinctions of wildlife caused by hunter-gatherers, the deforestation caused by the introduction to fire as a means of cooking and heating, but for the most part, the ecological footprint of human settlements was light because they were embedded bio regionally and their size permitted provisioning by the immediate surrounding natural environment. These developments were made possible by the large-scale exploitation of fossil fuel resources (especially petroleum), which offered large amounts of energy in an easily portable form, but also caused widespread concerns about pollution and long-term impact on the environment. In the USA, cheap gas and anti-urban policies led to sprawl which destroyed rural areas and replaced many farms and open space with low rise housing developments, landfills and shopping malls. Urban dwellers became increasingly disconnected from nature, so that nowadays many of us no longer understand the connection of a healthy ecosystem and healthy cities. Landscapes on and around our buildings and infrastructure can be more than an optional ornamental extra but a multi-functional layer of soil and vegetation that controls surface water, provides food and wildlife habitat and keeps us cool, fit and sane. To make this transformation from grey to green will require panoramic, trans-disciplinary thinking and coordinated action (Grant, 2012). Architecture and buildings are inseparable parts of a city; can you assume a city without architecture, buildings and their features? The biggest portion of built environment is building blocks and their attachments; how can imagine a sustainable and ecological city without the effects of architectural design and building constructions? Particularly in modern and semi modern cities today, the dominance of buildings against natural environment is undeniable. During last century our reaction about environmental crisis in construction industry was nearly nothing! Architecture is the profession of designing the built environment. But we architects should include the contributions experts in related fields like landscape architects, urban design and planning, permaculturalist, and policy makers. Each has a significant role in restoring balance between buildings, cities and our biological / ecological inventory. Surely ecological urbanism without ecological architecture is impossible. How can architects utilize ecological science to design cities and buildings which are in harmony with ecosystems? 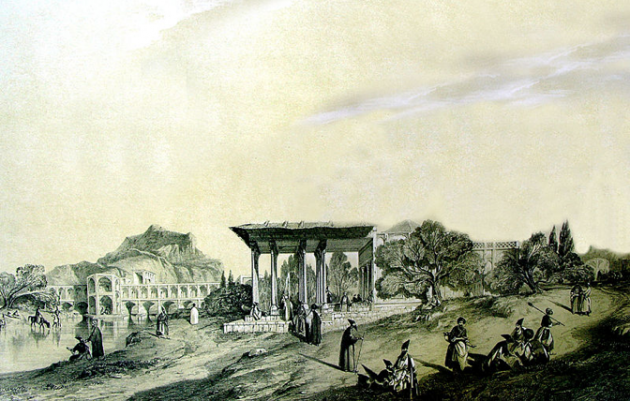 Artist’s Rendition of Safavid-era Isfahan, which is typically described as the pinnacle of garden cities interspersed with harmoniously-designed pavilions and spacious thoroughfares. Historically, the concept of the built environment both embraced and rejected the idea of a balance with our natural environment. Home was a safe place against wild and cruel nature of outside. We feared natural disasters, wild uncontrollable animals and untamed growth of forest and woodland areas. And even now, we destroy or neglect our natural infrastructure due to our focus on making life more convenient, with drive through services and large shopping malls. The realization that nature embraces the city has powerful implications for how cities are built and maintained and for the health, safety, and welfare of each resident. Disregard of natural processes in the city is and always has been costly and dangerous. Many cities have suffered from failure to take account of natural processes. The cost of disregarding nature extends also to quality of life. We witness this fact with unprecedented urban growth in cities across the globe. And if we look at urban history, we realize that the problems of contemporary urbanization are still persistent, just as plagued ancient cities. Nature has been seen as a superficial embellishment, as a luxury encountered only in parks and gardens, rather and meaningful urban form is than as an essential force that permeates the city. 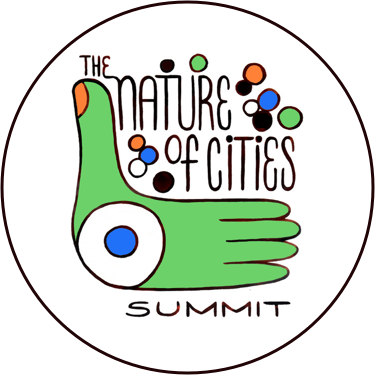 Civilizations and governments rise and fall, traditions, values, and policies change, but the natural environment of each city remains an enduring framework within which the human community builds. A city’s natural environment and its urban form, taken together, are a record of the interaction between natural processes and human purpose over time. Together they contribute to each city’s unique identity (Whiston Spirn, 2002). Ecosystems provide our basic human and social needs. The biosphere nurtures our mind and soul, as well as our stomachs and lungs. The modern city is organic process, but one with an unhealthy bio system. The biophilia hypothesis suggests that humans have an innate tendency to affiliate with other living organisms and living processes. Humans require contact with a biodiverse world to stimulate the development of their emotional, cognitive, and social potential. As the living community of other organisms is reduced and human interaction with that community is lost, there is an extinction of experience that results in a loss of real ecological knowledge and emotional attachment to nature. It is our relationships with our environment and other species that make us part of an ecosystem. The healthy functioning of a natural system, including their life-sustaining processes, depends on all species participating in a coordinative way. If we built our cities in such a way that children could play in creeks, we could watch the sunset and the night sky, and sometimes there was quiet, we would begin to know nature again. If wildlife could navigate the landscape, and the raindrop’s path from roof to river was manifest, then most of us would care about nature’s health. If our parks could showcase our rich and native plant life and we could lessen our dependence on oil and breathe clean air by making our cities walkable, and compost and recycle our waste, our built environment could contribute to creating a collective ecological consciousness (Dekay and O’brien, 2001). Thus cities should be an extension of our natural environment. Our decision to form a balanced relationship between nature and city is determinant; nature has complicated internal rules that define biodiversity as a collective life support system. There is a need for the city to connect to organic structures systematically. We as citizens must organize political, social and technological resources in an effort to create a dialogue and implementable action plan to redesign unhealthy urban habitats in balance with nature. “Sostenibili distopie”, Stefano Boeri. The Boeri’s sustainable city; a Nature-city. Urban ecosystems are the cities, towns, and settlements constructed by humans. We all influence our urban ecosystem and at the same time, we are influenced by ecological conditions. The health of biodiversity affects you. And what you do affects biodiversity. Everything we do either uses natural resources or returns them as waste. The amount of land and resources that a population or a person uses is called an ecological footprint. We all can do things to make our personal footprints smaller. An urban ecosystem includes people among the living things, and the structures they build among the non living things. In an urban ecosystem, humans influence ecological factors (plants, air, soil, animals), and human decisions (where and how to build houses, parks, highways, schools) are influenced by ecological factors. Social factors are a key component of a viable and healthy eco system. Respect for cultural and ethnic diversity and the recognition of multi cultural leadership are important inputs to a healthy city. Urban Ecology is the study of ecosystems that include humans living in cities and urbanizing landscapes, the application of the principles of ecology to a study of urban environments. The term “urban ecology” has been used variously to describe the study of humans in cities, of nature in cities, and of the coupled relationships between humans and nature. Urban ecology is the study of the co-evolution of human-ecological systems. 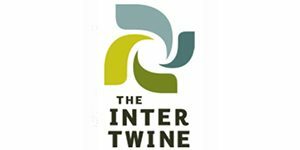 It is an emerging, interdisciplinary field that aims to understand how human and ecological processes can coexist in human-dominated systems and help societies with their efforts to become more sustainable. Urban ecosystems are diverse, and include human activities that sustain human life forms, (infrastructure; roads, dams and buildings) and biological inventory (plants, wildlife, water systems, food systems and microbes). Now what are the boundaries, nature or human made, of urban ecosystems? Wittig explains that an urban ecosystem’s boundaries are not restricted to human or natural areas. The ecosystem does not occur alone. They are always in contact with the adjacent ecosystems. Their boundaries are not well defined and they may overlap. There are certain areas where their boundaries are well defined it includes the pond and land ecosystems. They have some common organisms which includes the birds. There is an exchange of inorganic nutrients between them. The boundaries of urban ecosystems are often set by watersheds, airsheds, commuting radii, or by administrative units. In other words, boundaries of urban ecosystems are set in the same ways and for the same reasons as are the boundaries of any other ecosystem. In the case of urban ecosystems, it is clear that many fluxes and interactions extend well beyond their boundaries defined for political, research, or biophysical reasons. Urban ecology, as an integrative science with roots in ecology, focuses on urban ecosystems as broadly conceived. Ecological design is defined by Sim Van der Ryn and Stuart Cowan as “any form of design that minimizes environmentally destructive impacts by integrating itself with living processes” (Van der Ryn, Cowan S, 1996). 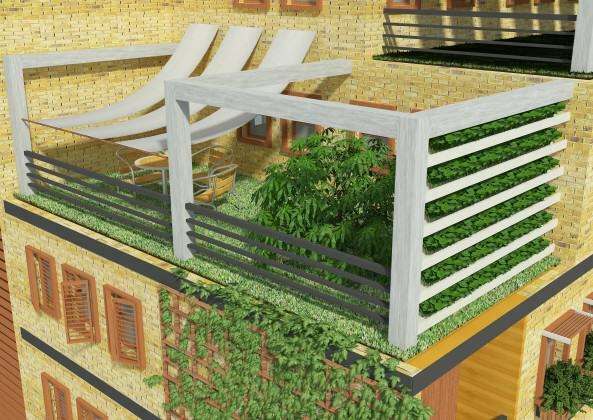 Ecological design is an integrative ecologically responsible design discipline. It helps connect scattered efforts in green architecture, sustainable agriculture, ecological engineering, ecological restoration and other fields. This design approach must be organized around what can be called the “ecological design arts,” around developing the analytic abilities, ecological wisdom, and practical wherewithal essential to making things fit in a world of humans, microbes, plants, animals, and entropy (Orr, 1992). Ecological problems are often the result of urban design, planning and human consumption problems: our land uses, transportation systems, buildings, and technologies often do not fit comfortably in the human or natural biosphere. Ecological design requires the ability to comprehend patterns that connect to nature, which requires working outside mainstream disciplines to see things in their larger context. Ecological design is the careful meshing of human purposes with the larger patterns and flows of the natural world; it is the careful study of those patterns and flows to inform human purposes (Orr, 1992). 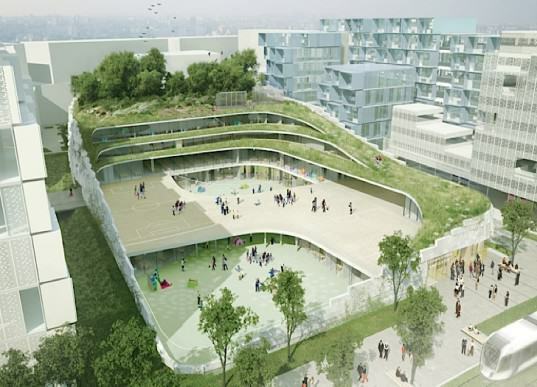 How can architects foster integration between architecture and urban ecosystems? I think we have no other choice except to choose ecological design and planning as the best option to save our scarce resources for generation to come. Architects encourage and forge mutual relationships with the diverse stakeholders and professionals who deal with planning and design of the built and natural environment. We must work as a team and in the spirit of cooperation with urban agriculturist, landscape designers, biologist, environmental justice advocates, urban conservation officials, green economy / jobs advocates, wildlife managers, clean water and wetland activist, public health activist, artist and musicians, air quality experts, policy makers, sanitation and waste management officials, community organizers, builders, environmental educators and many more who have a vested interest in visioning a healthy urban environment. We seek to embrace a critical analysis of environmental issues and problems as a way to foster a systems approach to caring for our fragile environment. Introduces a systems design model that cuts across academic and professional boundaries and the divide between social and physical sciences to move towards a transdisciplinary approach to environmental and social problem-solving. 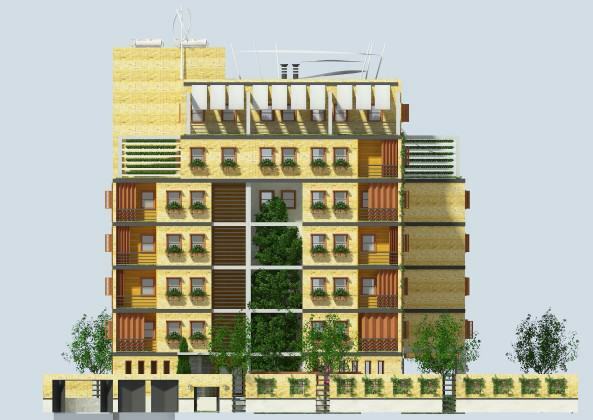 This approach will also result in high quality building design, integrating greenery, natural building materials, natural light and water in a harmonious balance. There are many conceptual and built examples of creative cutting edge ecological buildings. I will develop a portfolio of successful and creative ecological buildings as part of a public outreach and in class educational tool. The purpose of ecological design is to create a vision of how the natural world and the human world can be rejoined by taking ecology as the basis for design. Ecological design intelligence—effective adaptation to and integration with nature’s processes can be applied at all levels of scale, creating revolutionary forms of buildings, landscapes, cities, and technologies. The ecological approach to design is about environmental bio-integration. Our built forms and systems need to imitate nature’s processes, structure, and functions, as in its ecosystems. The process of designing to imitate ecosystems is Ecomimesis. This is the fundamental premise for eco design. There is much misperception about what is ecological design. We must not be misled and seduced by technology. The other common misperception is that if our building gets a high notch in a green-rating system, then all is well. Ecological design principles create a sustainable world with increased energy efficiency, fewer toxics, less pollution (both indoor and outdoor pollution) greener and healthy buildings, accessible green open spaces, reduce noise pollution, healthy social relationships, reduced waste and a happy well adjusted citizenry. Ecological continuity describes the process of uninterrupted succession, or union with a natural inventory, i.e., plant life, waterways, and open space, in an effort to maintain the natural and healthy integrity of a biosphere. 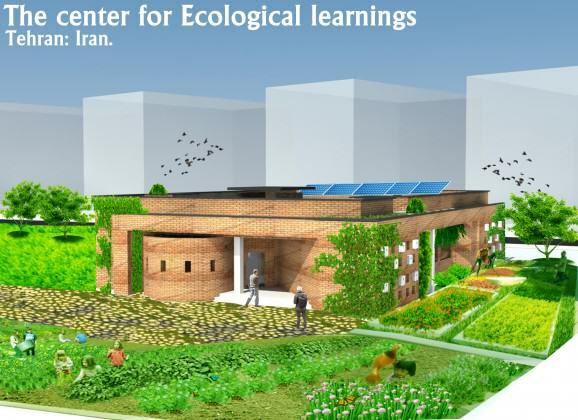 Ecological linkage describes the process of utilizing ecological design principles as as a key factor for designing and restoring damaged natural and human habitats. As it applies to building design, the concept of continuity begins with knowing the ecology of site and the limits of construction activity. The process of constructing a building can adversely affect the natural environment. Every site possesses an ecological limiting capacity; to which if overburdened, the site suffers irrevocably ecological damage, such as soil erosion and destruction of local biodiversity. Achieving these linkages ensures a wider level of species diversity, human and wildlife interaction and social and physical mobility and sharing of resources across municipal boundaries. Such real improvements in connectivity enhance biodiversity and further increase habitat resilience and species survival. Providing ecological corridors and linkages in regional planning is crucial in making urban patterns more biologically viable. The footprint print we leave after construction process is complete will have a minimal impact on the site’s ecology, and if the site remains vegetated (and not entirely paved) it provides greater land area for surface water percolation back into the earth. We must ascertain the ecosystem’s structure and energy flow, its species diversity and other ecological properties. The secret of designing successful ecological architecture is to embrace the notion that the site is a wholistic living natural element, similar to a tree; and functions as a part of an organic living environmental inventory. This linkage of these organic elements must be extended vertically and horizontally, with vegetative connectivity stretching upwards within the built form to its roofscape, and horizontally in conjunction with the ground floor contours of the structure. More than enhancing ecological linkages, we must biologically integrate the inorganic aspects and processes of our built environment with the landscape so that they mutually become eco-systemic. This is the creation of human-made ecosystems compatible with the ecosystems in nature (Yeang, 2007). Ecological residential complex; Semnan, Iran. Architects: Kaveh Samiei and Hamidreza Golzardi. Multifunctional ecological space in a residential complex; Semnan, Iran. Architects: Kaveh Samiei and Hamidreza Golzardi. Architects and environmental planners should consider buildings and other landscape structures as organic elements of a larger ecosystem. Ecologically built structures will create small and less stressful environmental footprints, which in turn will promote ecological connectivity with rehabilitated vegetative networks, which in turn will enhance the quality of life of human and wildlife occupants. One strategy assigns the built and natural to distinct realms, where wildlife habitat cores are pushed to the perimeter of the site, providing a clearing for housing, commerce, parking, and recreation. Other efforts to achieve significant “interdigitation” between built and natural realms include adding green roofs to structures. 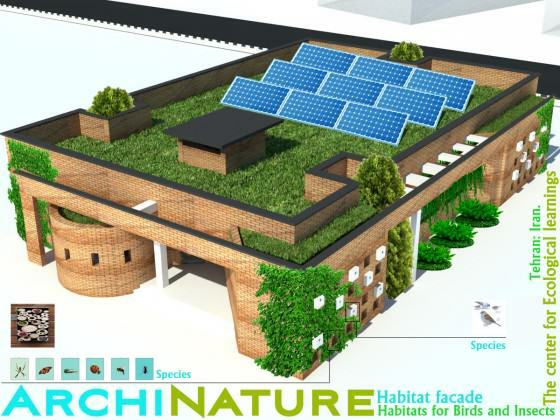 Green roofs serve as stepping-stone corridors for various avian species as well as a decreas the use of heating, ventilation, and HVAC systems. 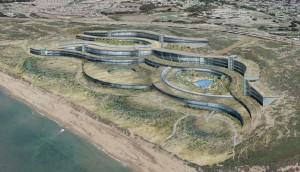 Landscape-like eco building; Monterey Bay Shores Ecoresort. Designed by Thomas Rettenwender and Brent Bucknum for Rana Creek Habitat Restoration and BSA Architects. Rainscreen facades provide habitat for cavity dwellers such as kestrels and birds. For many sensitive species, life in close proximity to development would be intolerable, yet numerous species would flourish under these conditions, and humans would have day-to-day contact with the wild. Assuming a thoughtful position between extreme segregation and integration, how consistent should the relationship between built and natural orders be (or between sub-orders within these)? Should we promote flowing, landscape-like building forms which closely synchronized with their surroundings, an approach that holds great currency in contemporary architectural circles (Muller, 2007)? A growing body of literature under the rubric of landscape urbanism has stressed the closing of boundaries between architecture and landscape, between the ecological and cultural. Recent discourses and architectural models offer advances in theoretical thinking and design expressions. 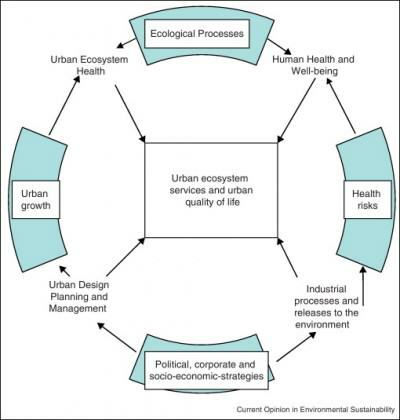 However, actual outcomes in terms of improved ecological functions in the urban environment remain to be seen (Hou, 2012). Vertically, eco-skyscrapers can protect valuable open space by building up, rather than out. And the outer skin of the building could produce substantial amounts of energy for heating and cooling the entire structure as well as provide energy to adjacent structures. Mostafavi, Mohsen with Doherty Gareth. (2010): Ecological Urbanism, Harvard University, Graduate School of Design, Lars Müller Publishers. 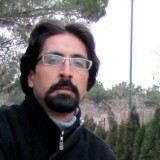 Samiei, Kaveh. (2012): Vertical Greenery in Iran; Attitudes and Prospects. Grant,Gary. (2012): Ecosystem Services Come to Town, Greening Cities by Working with Nature, John Wiley and Sons Ltd, London. Whiston Spirn, Anne. 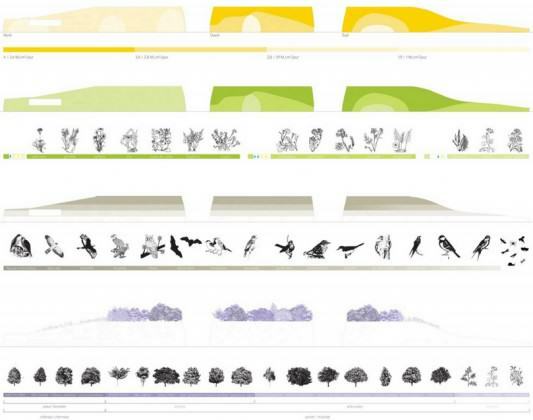 (2002): THE CITY AS A GARDEN: URBAN NATURE AND CITY DESIGN,Illume. DEKAY, MARK. AND O’BRIEN, MICHEAL. (2001): Gray City, Green City. 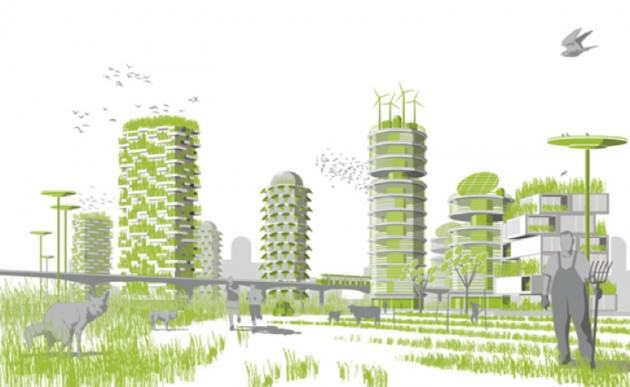 New thinking and new settlement patterns can bring about urban sustainability. FORUM for Applied Research and Public Policy. Zipperer, W.C., Foresman, T.W., Sisinni, S.M., Pouyat, R.V. ( 1997): Urban tree cover: an ecological perspective. Urban Ecosyst. 1, 229e247. Carreiro, M.M., Pouyat, R.V., Tripler, C.E., Zhu,W. (2009): Carbon and nitrogen cycling in soils of remnant forests along urbanerural gradients: case studies in New York City and Louisville, Kentucky. In: McDonnell, M.J., Hahs, A., Breuste, J. (Eds. ), Comparative Ecology of Cities and Towns. Cambridge University Press, New York, pp. 308e328. 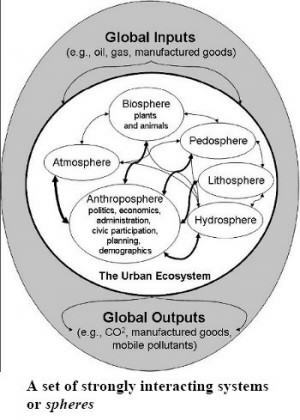 Wittig, R. (2009): What is the main object of urban ecology? Determining demarcation using the example of research into urban flora. In: McDonnell, M.J., Hahs, A., Breuste, J. (Eds. ), Eclogy of Cities and Towns: a Comparative Approach. Cambridge University Press, New York, pp. 523e529. Pickett, S.T.A., Burch Jr., W.R., Dalton, S.D., Foresman, T.W. ( 1997): Integrated urban ecosystem research. Urban Ecosyst. 1, 183-184. Van der Ryn S. Cowan, S. (1996): “Ecological Design”. Island Press, p. 18. Orr, David. (1992): October. “Environmental Literacy: Education as If the Earth Mattered.” E. F. Schumacher Lectures. Yeang, Ken. (2008): Ecoskyscrapers and Ecomimesis: New tall building typologies, CTBUH 8th World Congress 2008. BUILDING DESIGN; PART 1: THEORY AND PREMISES. Llewelyn Davies Yeang and TR Hamzah Yeang Sdn Bhd, London, UK. Hou, Jeffrey. (2012): Hybrid Landscapes: Toward an Inclusive Ecological Urbanism on Seattle’s Central Waterfront. HYBRID LANDSCAPES, University of Washington. Muller, Brook. (2007): Continuity of Singularities: Urban Architectures, Ecology and the Aesthetics of Restorative Orders, Department of Architecture, University of Oregon, Eugene, OR, 97403. Hello Mr. Kaveh Samiei! If possible, let your email. I want to make you a business proposition. A growing body of literature under the rubric of landscape urbanism has stressed the closing of boundaries between architecture and landscape, between the ecological and cultural. I am currently a Grad student for Interior Architecture at Florida International University. This article is so complete, well written and informative that I am using it as the main source of information for my Design IV project that I have to present April 17th 2014. The challenge is to create a Sacred Space within the city. The concept of my space will be Ecomimesis and Permaculture.